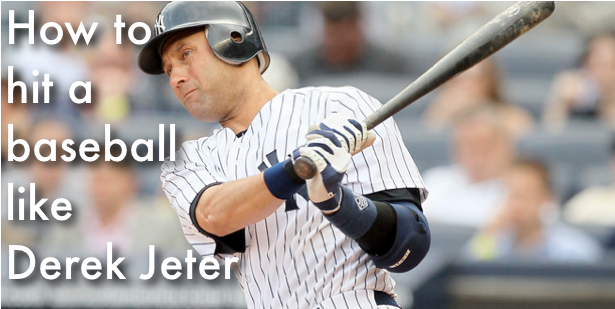 What is Derek Jeter’s secret for becoming the hitter that he is today? How does he make hitting with two strikes look so effortless at times? Really what it comes down to is being effective at staying inside the ball and really understanding the concept of hitting the ball up the middle. Well I’ll do my BEST to explain to you how to apply this i as little time as possible with the biggest return of progress when applying this in your next batting practice session. In this “How to hit a baseball” video I’ll show you one hitting drill and one hitting approach that you can apply to your at-bats that will allow you to drive the ball in the same way. Don’t forget to tell me what you like MOST about Derek Jeter’s swing and who’s swing you’d like to see in the next video. Let us know your thoughts in the comments box below what your approach is to hitting. Also let us know what batting tips you’d like to learn as well as who’s swing you’d like to see in the next video!